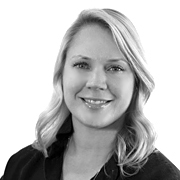 Data-driven marketing agency network Hearts & Science has named Erin Matts US Chief Executive Officer. He replaces Scott Hagedorn who has been promoted to North America CEO of parent firm Omnicom Media Group (OMG). Launched in 2016, Hearts & Science helps clients with personalized digital marketing, converging CRM and addressable channels, and real-time insights and targeting. Matts (pictured) has spent the past three years as North American CEO of OMG's data and analytics division Annalect; a role previously held by Hagedorn. During her time with the company, she has helped drive increased integration of data analytics across Omnicom's creative agencies and played a role in the development and launch of the company's people-based precision marketing platform Omni. Before joining, she was Chief Digital Marketing Officer at Glam Media and Global Director of Digital Connections at Anheuser-Busch InBev, and she spent six years at OMD, latterly as Chief Digital Officer. Hagedorn's new OMG NA leadership role is being vacated by Page Thompson, who retires following a 40-year career at Omnicom. Commenting on Matt's appointment, Hagedorn said: 'As the North American CEO of Annalect, Erin has been invaluable to Hearts & Science from the moment we opened our doors three years ago. Beyond her contributions to Hearts & Science, her broader experiences enabling behaviorally-inspired and data-informed marketing solutions for all OMG clients are the perfect credentials for leading an agency that has the word 'hearts' and 'science' in its name'. Web sites: www.omnicommediagroup.com and www.hearts-science.com .